In the summer of 2016, my family packed our bags and traveled 900 miles from Arkansas to Michigan. On a whim, we set out to find a new home and a new life. Michigan did not disappoint. We found our true home. The place we belong. 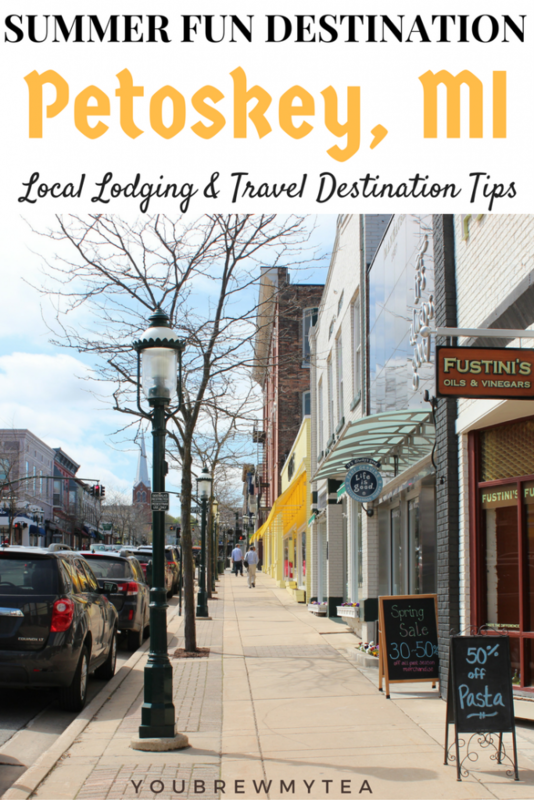 From that adventure, I am now able to share with you amazing travel tips for a Northern Michigan adventure in Petoskey, Michigan. Don’t have a set itinerary. One thing I have found in Michigan is that every time we have a set itinerary for traveling and seeing specific things, we end up changing plans. Why? Because there is just so much to see and do here! For our family, it includes last minute stops at roadside attractions, taking in a movie at a local theater, or stopping and enjoying a foodie destination along the way. 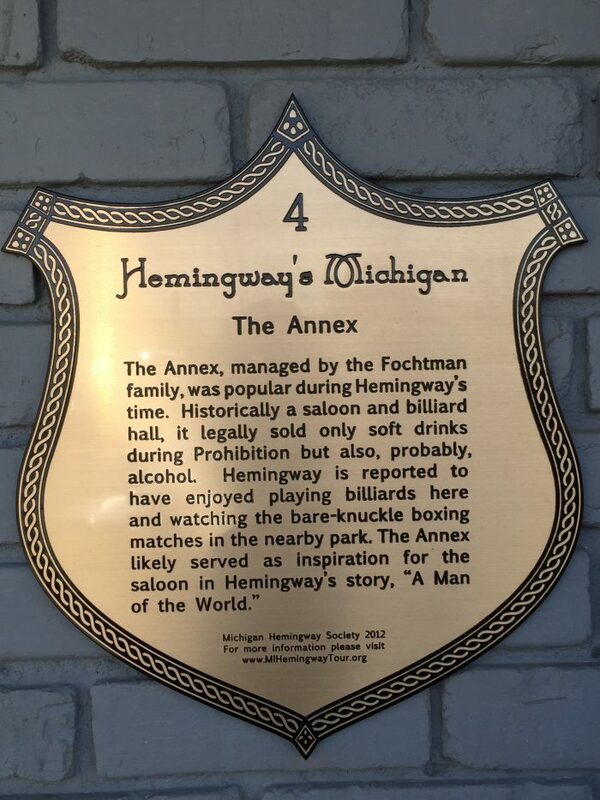 We’ve found that in all travels in Michigan, you will find more than expected. Give yourself flexible time in your itinerary. 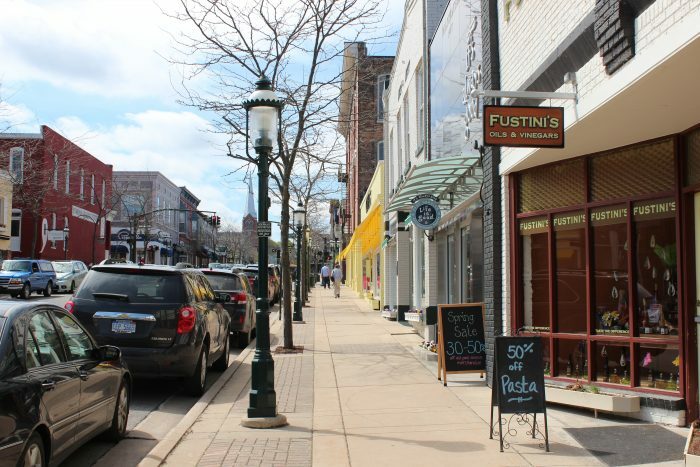 While you may head to Petoskey to enjoy time on the water, you’ll likely find that shopping, hiking, and foodie adventures take up some of your time as well. Heading downtown for dinner may often result in hours of shopping and browsing local haunts. Trust me when I say, the downtown area has enough to do to keep you busy all day long. So, while you may plan to have dinner and go back to the lake, you’ll probably find yourself enjoying a leisurely stroll to check out the shops and views along the way. Stop by the visitor center. When I was a kid, I dreaded stopping at visitor centers with my parents. I always thought they were boring. Now, I realize how amazing they are. These people know the area better than anyone else. They are there to guide you to the right places to see, eat, explore. A few minutes of your day needs to be spent at The Petoskey Area Visitor Center. Guide books, suggestions, maps, and sometimes special events happening will be at your fingertips. What better way to start your vacation? Find the right lodging. Nothing is more important to me than a great place to lay my head at night after a long day of exploring. 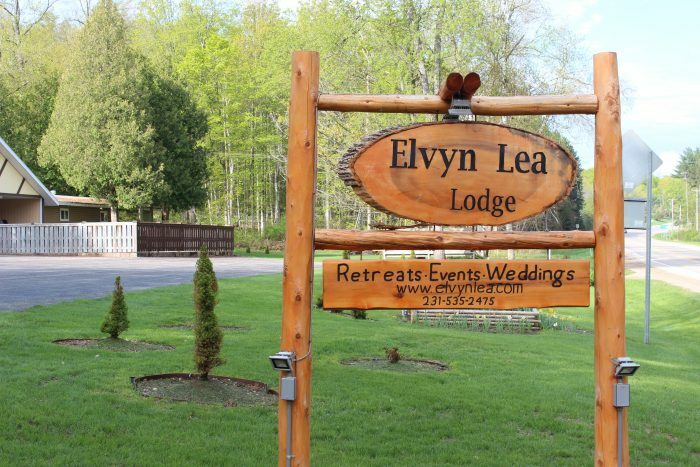 Petoskey has amazing stops for you to choose from, but our personal favorite is the Elvyn Lea Lodge. They bring modern day comforts to you while keeping the atmosphere of a time from the past. Whether you enjoy a rocking chair around the fire pit with a cup of coffee to talk about your day, or you settle into the home like rooms for sleep, it feels like you’ve come home. Their setup is ideal for a group travel adventure, reunion, or even to host a workshop with business people. For bloggers like myself, retreats with friends are always a great way to learn, and this would be a perfect place to gather. Don’t be afraid to explore. The Petoskey Area includes a large region of small towns and lake front property. 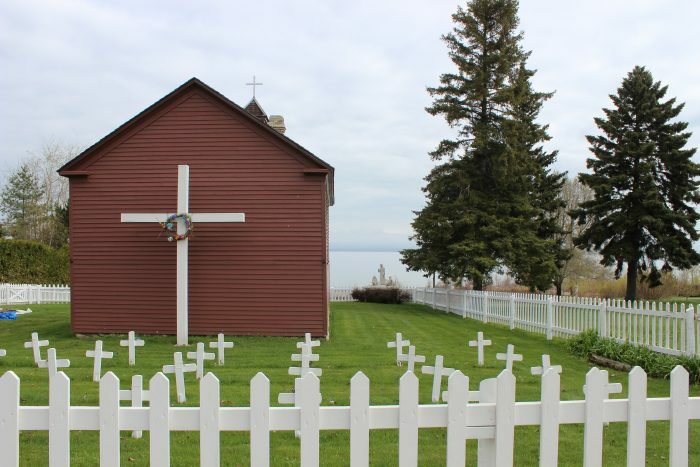 There are many things to do in Petoskey proper, Harbor Springs, and Boyne City. This region has been home to many influential individuals over the years and is a popular destination for travelers. From checking out the infamous Petoskey stones found on the shores to checking out places author Ernest Hemingway once visited, you have something for every person in your family to get excited about discovering. As we have spent time over the last year getting to know our new state, we’ve discovered many areas like this are chock full of history. This is ideal for a homeschooling family or anyone who loves learning unique things about a region. You can enjoy the Tunnel of Trees as a beautiful way to learn about the cost of Lake Michigan. 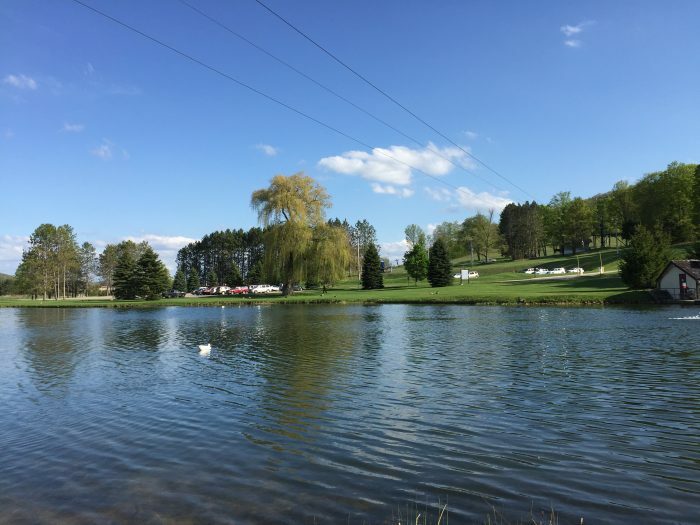 Exploring the area for historical points of reference and even learning about the wine making process are all things that the Petoskey area brought to our family. Pack for any weather. Michigan weather, to our family, is ideal. The winters are long, the Spring is gorgeous, and the summer is typically mild. Especially in the Northern Michigan area of Petoskey and surrounding cities. This means that you may have a beautiful warm summer day and a chilly evening. While this is a lake and beach destination for many, that doesn’t mean you want only bathing suits. Make sure to grab that light jacket and a pair of pants for your travels. Evenings on the beaches can bring a breeze, even in the hottest days of summer, that cools you down in an instant. Leave room for dessert. You know my love of food. So, I have to tell you that The Petoskey Area has some amazing foodie hot spots to enjoy. If you are a beer or wine drinker, you will love the flavors of the local breweries and wineries. 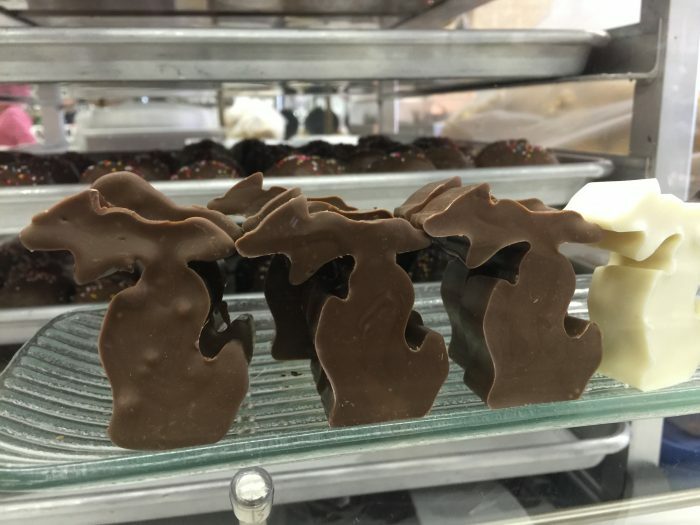 If you are like me, and prefer the sweet side of things, stopping downtown for some fudge, chocolate, or a sweet drink is going to be a must. Leave room for dessert. You won’t regret that decision. Visiting Northern Michigan is a family favorite for us. We are close to home, but still feel like we have gotten away. This region is ideal for the outdoorsman but is also a great destination for a history buff, homeschooling family, or just a foodie. There is no end to the fun to be had here, and the affordability of this location can’t be beaten!